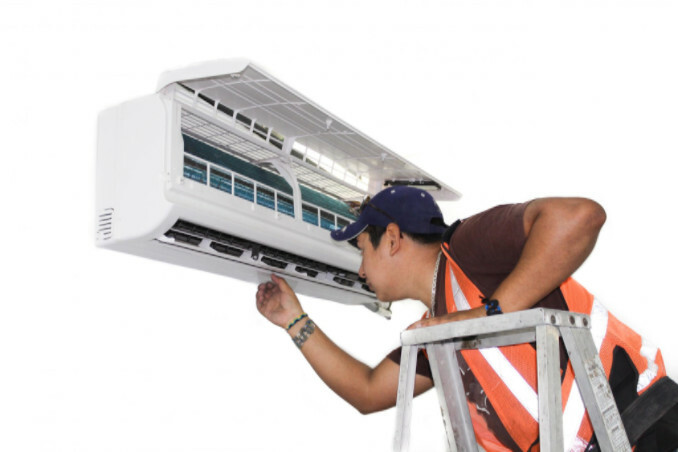 A ductless air conditioning system can be a very efficient cooling and heating system for any business or home owner. Proper installation is the key. A well-installed ductless air heating or cooling system will be effective and energy efficient, reducing both energy consumption and maintenance costs. A ductless mini-split AC system mostly consists of a wall-mounted indoor unit system, which comprises of an external compressor. The systems are convenient for many commercial uses – such as in hotels, offices, restrooms or even in executive conference rooms – or for residential use as an alternative to the traditional central AC setup. Before we jump into how much it costs to install a ductless AC system, let’s do a quick review of why installing such a system is beneficial. This is the most common benefits associated with these kinds of systems in any setting. Practically speaking, a home or office installed with such systems will experience the best quality of air circulation in that space. To improve the performance of such systems, seasonal maintenance should be scheduled each year. Installing an older model of HVAC systems could take some weeks. However, with the new ductless systems, an individual system is less invasive to maintain and install. The exact length of time it takes to install your system depends on the number of rooms which require the systems and how you want the systems to work. The small size and scale of ductless mini-split systems, and their zoning capabilities, enable them to be more energy efficient. The systems are manufactured according to the ENERGY STAR regulations and guidelines. This shows that the components are far more energy efficient than any other kind of systems. While some heating systems are force-heated, or cooled, to regulate the conditions of a room, ductless systems are known to emit their air directly into the desired zones. Because they have outdoor units, the systems can function with the mounting capabilities with some electricity supply. Despite the cost of installation, many homeowners ultimately switch to the ductless heating and cooling systems because they cost less money in the long run but serve them efficiently. Every owner wants to reduce the various monthly utility costs they incur in their homes. Such creative and efficient systems have helped people achieve that objective. How much does a ductless AC system cost? These kinds of systems are known to be a bit labor demanding during the initial installation. First, the installation should be done by a skilled professional who understands the components and techniques of such a complicated process. Different installation companies will charge differently depending on the kind of technology they use as well as the areas and scope of the work. Size of the unit. Different sizes and designs are priced differently. The choice a client makes will greatly determine the amount of money they will spend on such a system in the end. Number of areas. The amount of space covered by such units matters a lot in determining the kind of installation desired. Ideally, big projects would need large systems which will be costly. Type & brand. Different companies sell their products at slightly different prices. The technology a certain manufacturer uses, along with the materials used in the manufacturing process, will ultimately be passed down to the consumer. Configuration of the systems and the existing electric control panels. The pricing of the installation could go up based on how the system needs to be configured and if current electric control panels will fit the new system. The biggest determining factor when it comes to ductless AC installation costs is what company you choose to hire. Before choosing any contractor to work with, certain considerations should be made. For example, evaluate the company’s qualifications, licensing, insurance and bonding, experience and reputation of a contractor.